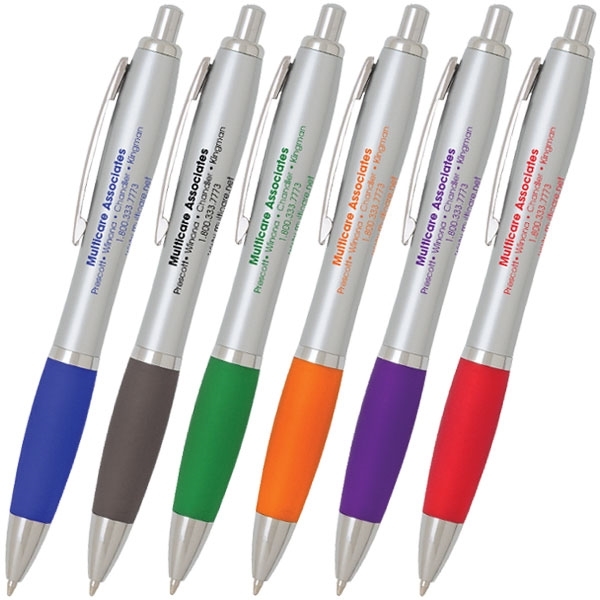 Retractable ballpoint pen with smooth rubber grip and a polished barrel. Screen print your logo with Magna-Imprint™ capability. Black ink.